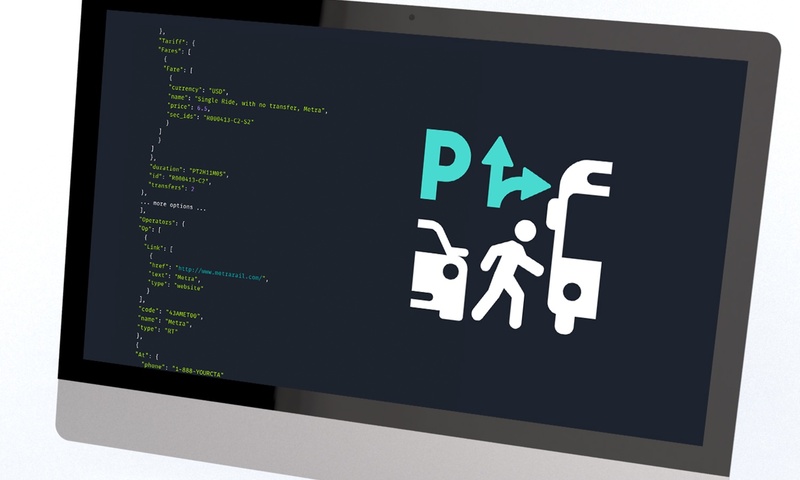 As previously announced, HERE recently released the Intermodal Routing API. Intermodal routing is a novel capability that allows users to find routes across different modes of transportation, such as combining air and ground travel, rail and bike share, or public transit and taxi services. Current routing services can only route across a single mode of transport—for example, car routing, public transit routing or bike routing. Combining modes really opens new possibilities. Because Park and Ride is a common and oft-requested application for intermodal routing, we implemented it first. Park and Ride enables use cases ranging from calculating your personal best route to reach your office, to showing customers a map with comfortable Park and Ride solutions to reach your company headquarters in a congested city, to offering a fully flexible Park and Ride Routing solution. Please note that HERE is offering Park and Ride Routing only in specific locations—see the Coverage Information for currently supported cities. This list is growing as we collect the necessary data for more and more destinations, so check back soon if you don't see what you're looking for now. Without further ado, let's show you how to implement a map using the HERE Intermodal Routing API on your website. To work with any HERE API, you need to get yourself a pair of credentials. They consist of an App ID and an App Code. You can get your own set of credentials by signing up for free on developer.here.com. After signing up you will see an option to generate an App ID and an App Code. If you have already signed up, you can access your credentials on your "Projects" page. For this API, licensing compliance means there's one extra hoop to jump through to activate access. Please fill out the form on the Contact Us page, noting your App ID and requesting that it's enabled for the Intermodal Routing API. We'll try to respond ASAP, but it can take up to three days to activate. The request parameters are the app ID and app code you set up earlier, the parameter profile you use to specify you want a Park and Ride route, dep and arr to specify the coordinates of your start and end point, and a time for which you want the route to be calculated. If you look at the function Mobility.prototype.route above, you will see this request being assembled, along with the parameters graph and maneuvers, which are needed if you want to visualize the returned route - if you don't want to know the geometry and maneuvers for the route, you can omit them. And here is (an edited version of) what the response will look like. Actually, you'll get a much longer response, but we are limiting ourselves to the bits that are interesting for this tutorial. For a depiction of the full response, see the Park and Ride Routing Example from the documentation. The response gives us a JSON list of three Connection objects (of which only one is shown here), each of which contains a list of Sec objects (again, we are only showing the first one). The Sec objects represent parts of the journey between which the vehicle is switched. Most importantly for us here, they also contain the Graph object, which we use to visualize the route on the map. Now you can go forth and modify the code to suit your needs!